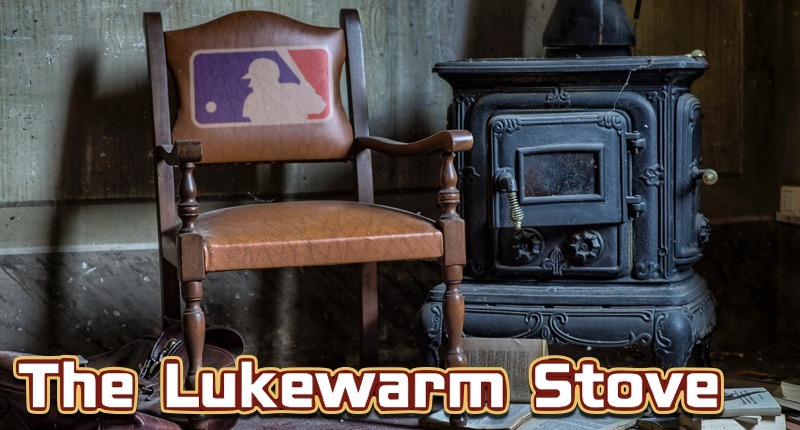 Before the 2019 season gets going, one of the game’s best infielders (Manny Machado), best outfielders (Bryce Harper), best starting pitchers (Dallas Keuchel), best closers (Craig Kimbrel), and most versatile all-around players (Marwin Gonzalez) still need to find homes. Today is also the last Friday before Spring Training begins. Howboutdat? Think about that. Think about how much the competitive landscape can still shift, just days away from baseball returning to your lives. 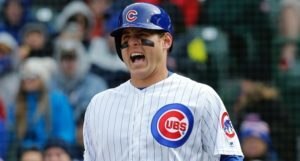 The Cubs aren’t likely to land any of the above, but they are likely to be impacted by their decision – one way, or another. And those are hardly the only free agents of consequence. In case you’re interested, Baseball Prospectus used their PECOTA projection system to forecast a win total for a team comprised solely of the remaining free agents – and they got a higher win total (85-77) than the actual Chicago Cubs (82-80). Fun. Cool. Everything is totally fun and very cool. But here’s the thing: getting Realmuto in the door accomplishes a lot. It makes Philadelphia a more attractive destination for both Harper/Machado. It applies greater pressure on the Nationals, who may(?) still be involved on Harper, to up their offer and keep him away from the Phillies. And it probably also makes the Phillies more desperate to land ONE of those two stars at any cost. Why? Well, now that they’ve traded some prospects for Realmuto, pairing with other free agent spending, there’s really no going back. This competitive window is officially open and they have to make the most of it. Because, you see, wise teams know that competitive windows don’t come around often or last particularly long. So every season your team is considered a favorite needs to be handled with special care and attention. Of course, sometimes, that’ll look like you’re going over the top, adding to an already-impressive roster, but again: things don’t come together very often. It’d be a real shame if they didn’t take advantage of every opportunity. And really, what big market team would be OUT on a generational talent available for just money entering his age-26 season? You’d have to be pretty crazy to do that. For what it’s worth, if trading for Realmuto made the Phillies more attractive to Harper/Machado, Jon Morosi believes the same could be true for Dallas Keuchel and/or Craig Kimbrel (but with Harper/Machado acting as the pièce de résistance). In related news, the Padres apparently prefer Harper to Machado, because of the impending arrival of top infield prospect Fernando Tatis Jr., though they might have some interest in Mike Moustakas in the interim. Which brings me to Ken Rosenthal’s latest at The Athletic. Up front, Rosenthal gets into the details of the Realmuto trade, as well as the Marlins other efforts to unload their star catcher (which includes names like Gary Sanchez, Miguel Andujar, Cody Bellinger, Noah Syndergaard, and all kinds of other crazy stuff). But eventually, he talks about Mike Moustakas and a possible return to Milwaukee. In Rosenthal’s words, a Moustakas-Brewers reunion “seems inevitable,” especially if Machado and Harper continue to linger on the market. Perhaps the Phillies and Padres reported interest in all three players has a lot to do with that. But if the Brewers do decided to return Moustakas, they’re hoping only to bestow a one-year deal upon him. That way, Travis Shaw could move to second base for a season and then back to third to make room for prospect Keston Hiura. I’m not particularly worried that Moustakas will put anyone over the top, but he’s sure to be very cheap. Then again, PECOTA is projecting a .265/.326/.473 (115 DRC+) slash line this season, which is pretty darn good. The Brewers have also signed Josh Tomlin to a Minor League deal, though he can earn up to $3.5M in the big leagues, as they once again appear willing to piece together their rotation on the fly this season. I guess it worked for them last season. Hunter Pence has signed a Minor League deal with the Rangers, wherein he can earn $2M as a base salary (plus another $1.25M in incentives) if he makes the big league team. You weren’t ready for Hunter Pence to be out of baseball, were you? The Cubs and their owners are not the only big market team getting grief for not spending enough this winter, as Hal Steinbrenner and the Yankees have received the same treatment. And just like the Cubs, the Yankees are quick to remind people that their payroll is above last year’s level and among the highest in baseball – which, I’m coming to understand is a really easy way to just side-step the actual point of the criticism. In any case, Steinbrenner adds that the Yankees are not necessarily done and that new proposals for deals are brought to him almost daily. He said their front office won’t be done until it’s Opening Day, so I guess keep them in mind at the periphery. 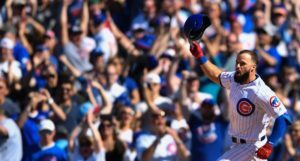 The Cubs need a veteran, back-up catcher to help Willson Contreras next season, and Rivera would’ve been as good as any. 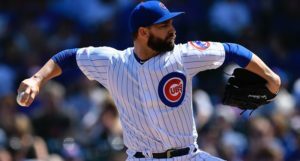 He’s a positive pitch framer, a veteran with a long track-record, and a former Chicago Cub (2017) with some existing experience with this pitching staff. The Cubs may yet bring in someone, but the options are pretty much down to Martin Maldonado, A.J. Ellis, and Nick Hundley – the first of whom could probably get a starter job, and the latter two of whom rated poorly as framers last year.